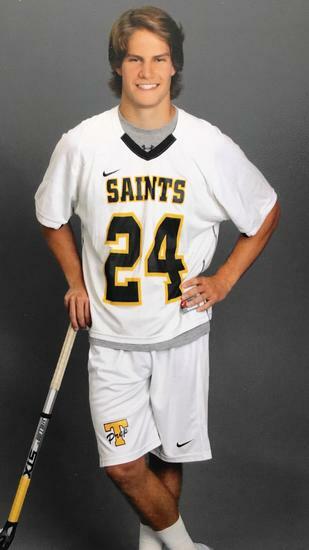 At age 17, John Michael was a champion lacrosse player headed to college on a full D-1 athletic/academic scholarship. On December 14, 2015, during midterms in his senior year of high school, he developed dizziness, pain in the rear of his head, unsteadiness, and blurred vision. He reached out to his parents, who took him to the closest emergency room where he was initially diagnosed with vertigo. Physicians focused on what they believed to be the effects of recreational drug use, various diseases, or other baseline possibilities despite the patient’s and family’s insistence that they were not possible. John Michael was admitted to the hospital, but the diagnosis of stroke was missed on an MRI, CT scan, and other scans, and a possible stroke was not even brought up for two days. Instead of receiving immediate treatment with clot-busting drugs and blood thinners to reverse his evolving stroke and prevent further damage, he was left untreated for three days. During that time, he underwent numerous expensive diagnostic tests for diseases and other theoretical prognoses he did not have. It was only when his stroke progressed to the point that he could no longer speak or move his limbs volitionally that the true diagnosis was identified; unfortunately, the window for treatment had passed. Even a one-penny aspirin, had it been given before the stroke progressed, might have prevented this tragedy. It would be easy enough to assume that John Michael’s problem is a rare, standout case. John Michael suffered from a severe constricted mid-basal artery stroke. Unfortunately, there are tens of thousands of patients each year whose strokes are missed, and thousands of them who suffer serious, preventable harms the way John Michael did. Stroke affects more than one million Americans each year, mostly older adults with diseases that cause progressive blockage of blood vessels. But young people are affected more often than typically recognized, usually due to the sorts of blood vessel injuries that John suffered. Roughly 10% of all stroke patients are missed at first medical contact. The ones missed are not usually patients with typical stroke symptoms like weakness on one side and inability to speak. Instead, most patients who are missed have subtler strokes presenting with atypical stroke symptoms such as dizziness, vertigo, headaches, or mental confusion. Although only about 10-20% of strokes initially manifest with dizziness and vertigo as the main symptoms, the way John Michael’s stroke did, these patients’ real diagnoses are much more likely to be missed, especially if they are women, minorities, or young, as John Michael was. Today John Michael is a 20-year-old young man who is unable to speak clearly or move his arms or legs in any volitional manner, but he is fortunately mentally intact, suffering from symptoms similar to “locked-in syndrome”. He does physical therapy, speech and occupational therapy four to six hours a day, six days a week, and primarily communicates by blinking his eyes. Have you or someone you love been affected by diagnostic error? Tell us your story. Despite the considerable commitment and expertise of all healthcare team members, delayed or inaccurate diagnoses happen to millions of patients each year, and can cause considerable harm. See what we're doing to improve diagnosis.